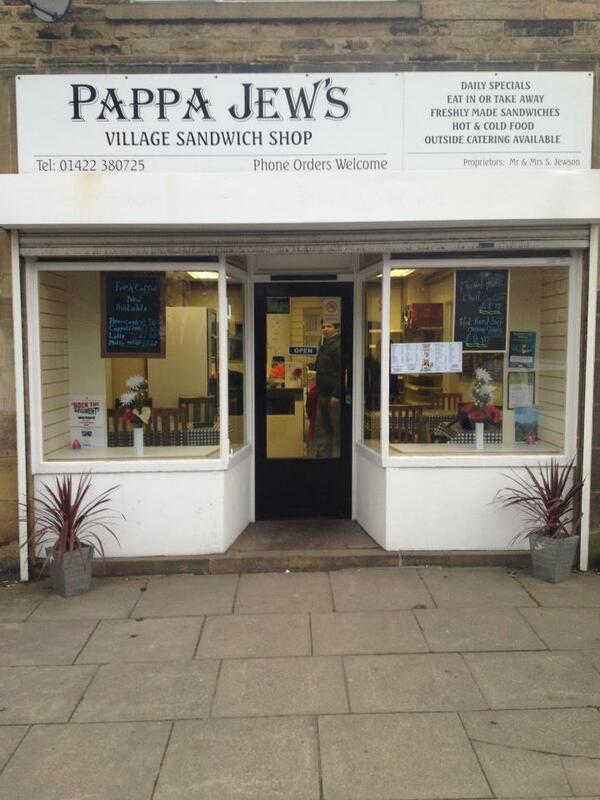 Pappa-Jews A very convenient and delightful little sandwich shop and cafe in Southowram and has recently been converted by (Pappa) Steve Jewson, this used to be the local chemist. In a short time the cafe is already a popular spot for locals as well as drivers driving in between Halifax and Brighouse. The shop recently received the maximum 5 star rating for hygiene and together with really tasty, fresh food, it makes for an ideal breakfast or sandwich (hot and cold) all served by pleasant staff who always tend to perk you up with friendly chat. Now serving fresh coffees too and all at very reasonable prices. 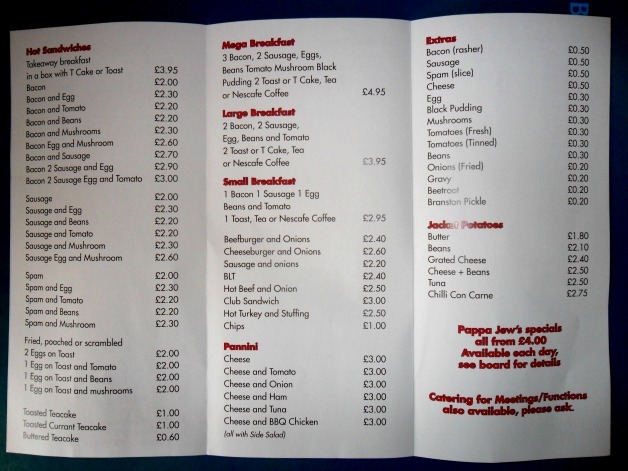 Take a look below at whats on offer. 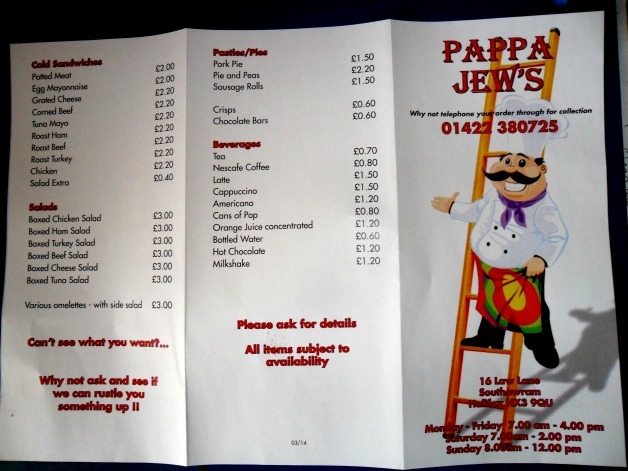 They can also cater for functions and other outside catering.